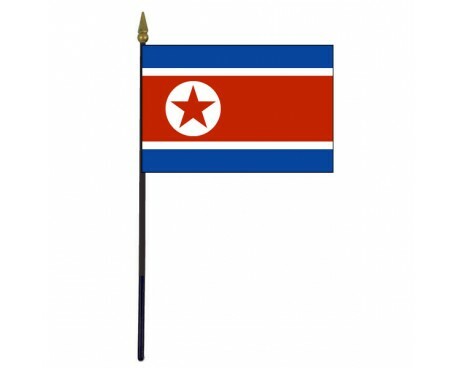 North Korea Stick Flag - 4x6"
The nation of North Korea has only had a single flag since it gained its independence. North flags have very little in common with the flags of South Korea, which helps to emphasize the strong political differences that separate the two nations. 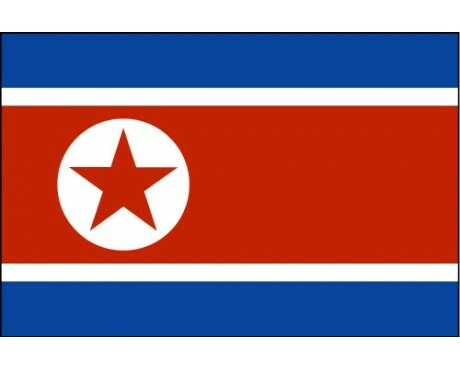 North Korea flags consist of a wide red stripe between two thin stripes of white that each border a stripe of dark blue. A red star within a white disc is displayed in the red stripe near the hoist. The red star is a common symbol of communism, and it was originally included in the flag to commemorate the communist ideology of the nation's founders and the countries that supported their political movement. The red band is likewise a symbol of communism, especially the revolutionary political movements that were associated with the ideology. The modern government of North Korea has largely abandoned its previous communist ideology, and the original symbolic value of those portions is no longer endorsed by the government of North Korea. The white stripes are symbols of purity, while the dark blue stripes represent both peace and the lawful power of the government. 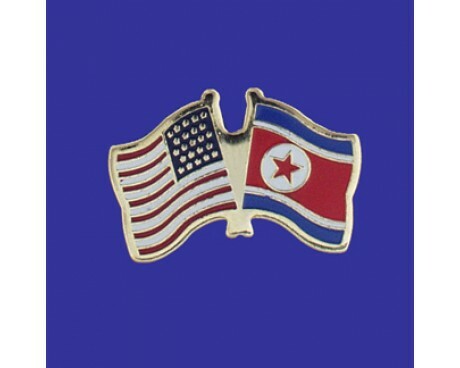 North Korea only became an independent nation during the 20th century, so the history of north flags is the same as that of southern flags for much of Korea's history. Historical Korean flags usually featured the taeguk, a symbol of balance that is associated with several traditional religions in Korea. The earliest such flag is that of the Joseon dynasty, which was in use prior to 1800. It featured an archaic form of the taeguk which has since fallen out of use. The modern form of the emblem was first displayed on a flag in 1882, and that design formed the basis of Korean flags prior to the separation of the two nations. 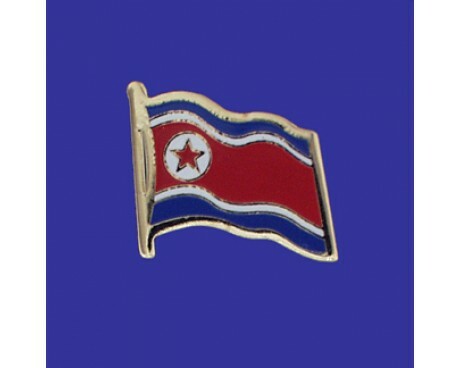 The North Korea flag and its history diverged from that of South Korean in 1948, following the success of the communist movement in North Korea. The new government quickly approved a flag that had been designed for it in the Soviet Union, which was one of the new nation's most potent allies. It has used that design without any changes ever since it first came into use in spite of the political changes that the nation has experienced since that time.